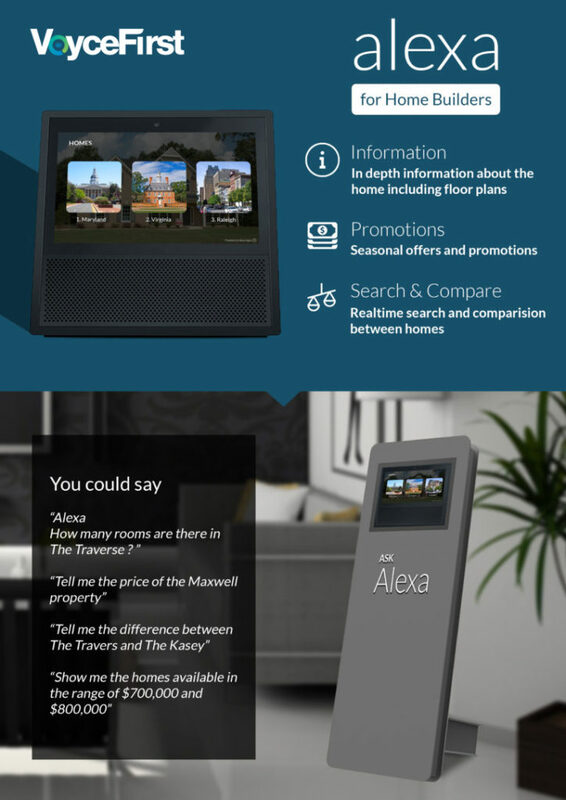 Our Alexa skill exclusively made for Home Builders enable the consumers to explore various communities built by the builder, what are the amenities, costs and specifications of various homes. You can ask questions like what are the most cost effective properties, or what are the biggest homes in an area and our skill will be able to answer that. Home builders can avail this service either on the standard echo devices or echo show devices (which have a complimentary screen). 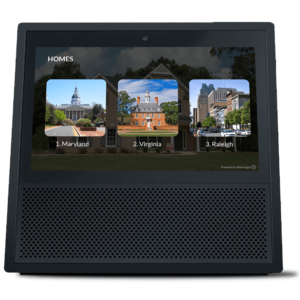 On Echo show, our skill is capable of showing videos, photos that can dynamically be configured by the Builders.